The SeaWorld & Busch Gardens Conservation Fund has granted funding to the UK’s Blue Marine Foundation to help protect five species of critically endangered fish including the beluga sturgeon, one of the largest freshwater fish in the world. The Blue Marine Foundation, in conjunction with Azerbaijan National Government Organisation (NGO), International Dialogue for Environmental Action (IDEA), is seeking assistance to save the beluga sturgeon (Huso huso) and five other critically endangered species of sturgeon from extinction in the Caspian Sea. The beluga sturgeon is Critically Endangered on the IUCN Red List and is expected to be extinct in the wild within four to five years, if the current rate of decline is not reversed. The IUCN highlights that survival of the species depends on combating illegal fishing, stocking and effective fisheries management. Although there is a moratorium in place, which bans sturgeon fishing. Illegal, Unreported and Unregulated (IUU) fishing is widespread. 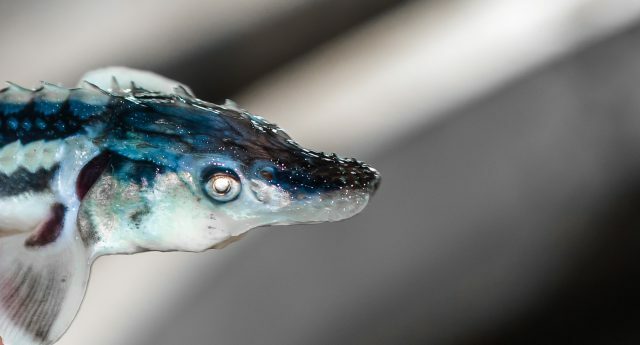 Prized for their caviar, mature female Beluga Sturgeon can be worth hundreds of thousands of dollars on the black market. The project aims to protect the beluga sturgeon and five other critically endangered species of sturgeon from extinction by banning the importation of gillnets to Azerbaijan and regulating the sale of them throughout the country, preventing illegal sturgeon fishing and raising public awareness of their plight. This is the second project to receive funding from money raised through the SeaWorld Parks & Entertainment’s UK donation programme which launched in 2015. $2 from every sale of SeaWorld Parks Extras pre-purchased in the UK goes towards the SeaWorld & Busch Gardens Conservation Fund, but specifically for UK charities. SeaWorld Parks Extras include Quick Queue tickets, Behind the Scenes Tours and dining packages. The SeaWorld & Busch Gardens Conservation Fund has been established since 2003 and has funded more than 800 projects worldwide. Stay tuned for news about future projects! The Blue Marine Foundation (BLUE) is working to solve the crisis in the oceans through providing innovative solutions to overfishing and enabling the creation of marine reserves. Although BLUE is a small NGO, it punches above its weight, having achieved a tremendous amount for the oceans in a short time.